If somebody from the other team had the football — or better yet, was about to catch it — McCoy’s own cerebellum told him to drive his helmet right through the poor fellow.Now, McCoy can’t drive home, can’t trust himself behind the steering wheel. Just staying between the white lines got too difficult. The blur was in his head. Far more dramatic in some than others. A product of Oceanside High and San Diego State who closed out his career with the Chargers, Buchanon has kept close tabs on McCoy since they played in the same Green Bay secondary, and he’s seen the steady decline in his friend’s mental state. 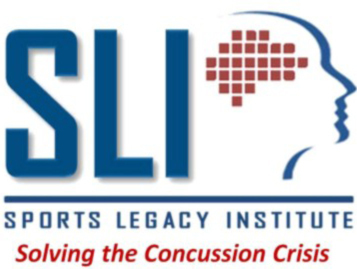 Principal researcher Ann McKee of the Sports Legacy Institute has been looking into CTE as we have posted about many times. Now one of her alma maters, Wisconsin, has produced a narrative piece on her and her work since moving on. It appeared in On Wisconsin, written by John Allen. McKee probably has more experience examining CTE-ravaged brains than anyone else in the world, and her studies are starting to change the rules and even the culture of football and sports in America. At the end of the article, John Allen quickly looked at how Wisconsin football is making changes. The first stage, according to Johnson, is “brain rest.” The player is asked to cut back on all forms of activity — television, video games, or music, and, in serious cases, even classes — until all symptoms (such as amnesia, confusion, disorientation, headache, dizziness, nausea, blurred vision, and light sensitivity) have disappeared. Then athletic trainers slowly increase the player’s activity. Most striking and the take home message from this last quote is, “brain rest” and athletic trainers.